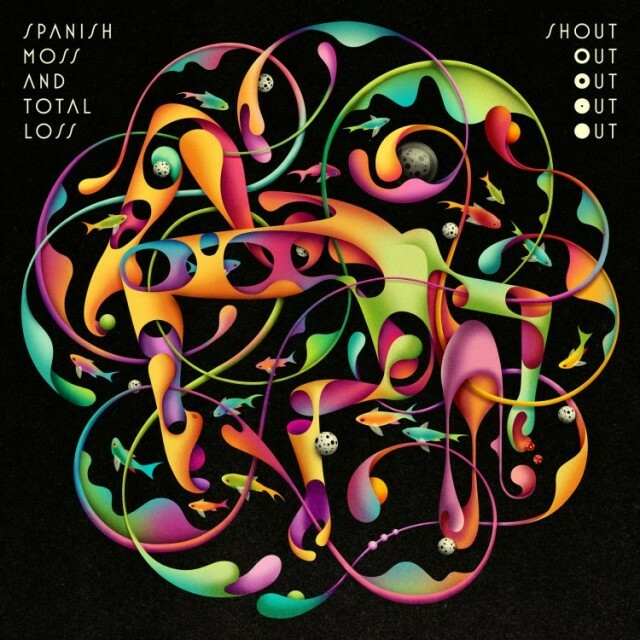 On July 17th, Edmonton's Shout Out Out Out Out will releases their third full length album Spanish Moss and Total Loss. Where their previous efforts were full of rambunctious and jagged electronic assaults, the new record is far more measured and controlled. The tone for the record is set by the pleasantly melodic nebulous opener "Now That I've Given Up Hope, I Feel Much Better". 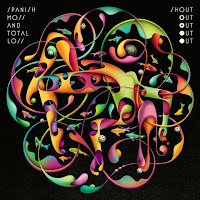 The tracks that combine to make up the album's title are the funky "Spanish Moss", and the catchy laid back "Total Loss". The bubbling beats of "How Do I Maintain Part 3" are solid, but track comes too close to techno to be taken seriously. The disco-flavoured groove of "Wayward Sateliite" provides a much more enjoyable foray into dance pop. The mellow vibe of "This Isn't Helping" verges on comatose. That highlights much of the problems with Spanish Moss, the songs are often scrubbed to the point of inoffensiveness. I want sharp, hard-hitting beats and energetic rhythms. Unfortunately, with the exception of "Lessons In Disappearing", those are hard to come by on this album. The group do quite well telling a story without relying on vocals. When vocals are present they do more to distract and annoy than they do to advance a song's narrative. The highly-processed nature only dehumanizes the music. I'm sure that Spanish Moss and Total Loss could be a decent soundtrack to some sort of routine daily activity. I just can't fathom what in my own life that would be. Shout Out Out Out Out play the Horseshoe Tavern in Toronto on July 21st. Best tracks: "Total Loss", "Now That I've Given Up Hope, I Feel Much Better"